Want to sell jewellery for cash? Post My Gold will give you the best price. 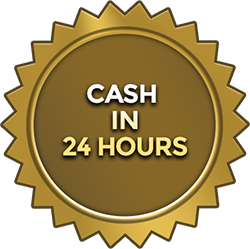 If your items are too good to scrap, you will automatically receive an increased offer from us. If your items are in good condition and sellable as pieces of jewellery we will pay you more for them. Some rings, bracelets, necklaces, chains and cufflinks are simply too good to scrap. Our experts will pay a fair market price for such items and they will go on to have a new lease of life. Items with precious stones, working gold watches and premium brand jewellery are often worth more than the scrap value you may be offered on the High Street. It’s always best to have your items professionally appraised by experts like us. We base our decisions on market trends and our expert knowledge of the jewellery business. If there is a market for a piece, we will always make an increased offer. Don’t leave your jewellery languishing unworn in your jewellery box. Gold prices are at record highs. There has never been a better time to sell. Contact us to sell your jewellery for instant cash. Use Our Gold Value Calculator for an Immediate Estimate! Get a quick and easy estimate of the value of your jewellery by using our gold value calculator below. Is your jewellery type not listed? Contact us to receive your FREE gold pack.